Information is collected for site management and summary statistical purposes.This is used for such purposes as evaluating determining technical design specificationsand identifying system performance or problem areas. For site security purposes and to ensure that this service remains available to all users,SVC-supported computer systems employ software programs to monitor network traffic to identifyunauthorized attempts to upload or change information, or otherwise cause damage. Except forauthorized law enforcement investigations and the security purposes mentioned elsewhere inthis notice, no other attempts are made to identify individual users or their usage habits.Base data logs are used for no other purposes and are scheduled for regular destruction inaccordance with public records retention schedules (Chapter 40.14 RCW). Unauthorized attempts to upload information or change information on this service are strictlyprohibited and may be punishable under the state Computer Trespass law (RCW 9A.52.110) andfederal statutes including the Computer Fraud and Abuse Act of 1986 and the NationalInformation Infrastructure Protection Act. If during your visit to the SVC web site you send an email, the server may retain the emailmessage and email address. We use your email address to respond appropriately to your request.This may be to address issues you identify, to further improve our web site, or to forward theemail for appropriate action. The information collected is not limited to text characters and may include attachments suchas documents, audio, video, and graphic information formats you send us. The information isretained in accordance with Chapter 40.14 RCW, Preservation and Destruction of Public Records. "Personal information" is information about a natural person that is readilyidentifiable to that specific individual. Personal information includes such things as anindividual's name, address, and phone number. A domain name or Internet Protocol address isnot considered personal information. We collect no personal information about you unless you voluntarily participate in an activitythat asks for information (i.e. sending an email). If you choose not to participate in theseactivities, your choice will in no way effect your ability to use any other feature of this website. If personal information is requested on the web site or volunteered by the user, state law andthe federal Privacy Act of 1974 may protect it. However, this information is a public recordonce you provide it, and may be subject to public inspection and copying if not protected byfederal or state law. Users are cautioned that the collection of personal information requested from or volunteeredby children on-line or by email will be treated the same as information given by an adult, andmay be subject to public access. In the State of Washington, laws exist to ensure that government is open and that the publichas a right to access appropriate records and information possessed by state government. At the same time, there are exceptions to the right to access public records that serve variousneeds including the privacy of individuals. There are exceptions provided by both state andfederal laws. Each agency, in accordance with published rules, shall make available for public inspectionand copying all public records, unless the record falls within the specific exemptions ofsubsection (6) of this section [RCW 42.17.260(6)], RCW 42.17.310, 42.17.315, or other statutewhich exempts or prohibits disclosure of specific information or records. To the extentrequired to prevent an unreasonable invasion of personal privacy interests protected by RCW42.17.310 and 42.17.315, an agency shall delete identifying details in a manner consistentwith RCW 42.17.310 and 42.17.315 when it makes available or publishes any public record;however, in each case, the justification for the deletion shall be explained fully inwriting. In the event of a conflict between this Privacy Notice and the Public Records Act or otherlaw governing the disclosure of records, the Public Records Act or other applicable law willprevail. In addition, information presented by the government on this web site is considered publicinformation and may be distributed or copied. Use of appropriate acknowledgements isrequested. Use of lists of individuals or directory information (including address, phone oremail) provided on this site for commercial purposes is prohibited under RCW 42.17.260(9). Inthe absence of a statutory definition of "commercial purposes," the Attorney Generalof Washington views the prohibition as being broad in its application, given that "(t)hereis nothing contained in the Act that distinguishes between different types of commercialpurposes." Moreover, in the opinion of the Attorney General, "(w)hile the statuteclearly encompasses a commercial purpose which involves direct contact of the individualsnamed in a list, we do not believe the scope of the term 'commercial purpose' is limited tosituations in which individuals are directly contacted or personally affected" (AGO 1998No. 2). Skagit Valley College may require you to provide certain personal information in order to pay tuition and fees over the Web. The information is required in order to verify your identify and to verify your credit card number and expiration date. You may choose not to provide this information, but if you choose not to provide it we will be unable to apply tuition and fee payment over the Web, and you will have to pay your tuition and fees in person or by mail. The following laws and regulations may prevent Skagit Valley College from disclosing the personal information about you except for directory information. Only directory information can be released without student's authorization. Students must sign a release in order to have any other information disclosed or to withhold all information. Education information may be released to other institutions that have requested the records and in which the student seeks or intends to enroll. Information may be released to a third party without student's consent if an emergency situation exists or if information is requested officially by means of a subpoena, court order or legal report. Additionally, Congress requires student information to be released to military recruiters if officially requested. Skagit Valley College policy defines directory information as student name, degrees and awards received. The College may also confirm dates of attendance, date of birth, major field of study, participation in officially recognized sports and activities and the most recent previous educational institution attended. Skagit Valley College may require you to provide certain personal information in order to perform a degree audit of your records over the Web. The information is required in order to verify your identity. You may choose not to provide this information, but if you choose not to provide it we will be unable to display a degree audit of your records over the Web, and you will have to request a degree audit in person. RCW 42.17.310 exempts the following from public inspection and copying: (a) Personal information in any files maintained for students in public schools, patients or clients of public institutions or public health agencies, or welfare recipients. Skagit Valley College may require you to provide certain personal information in order to obtain your financial aid status over the Web. The information is required in order to verify your identity. You may choose not to provide this information, but if you choose not to provide it we will be unable to give you your financial aid status over the Web, and you will have to obtain this information in person. Skagit Valley College may require you to provide certain personal information in order to allow you to view and copy course enrollment and payment information. The information is required in order to provide you with the tax information needed for compliance with the Internal Revenue Service reporting requirements for the Hope and Lifetime Leaning tax credits. You may choose not to provide this information, but if you choose not to provide it, we will be unable to display your enrollment and payment information and you will have to obtain a copy of your enrollment and payment records either in person or by mail. RCW 42.17.310 exempts the following from public inspection and copying: (a) Personal information in any files maintained for students in public schools, patients or clients or public institutions or public health agencies, or welfare recipients. Skagit Valley College may require you to provide certain personal information in order to register for classes over the Web. The information is required in order to verify your identity. You may choose not to provide this information, but if you choose not to provide it you will be unable to register for classes over the Web, and you will have to register for classes in person. Skagit Valley College may require you to provide certain personal information in order to obtain your registration appointment information over the Web. The information is required in order to verify your identity. You may choose not to provide this information, but if you choose not to provide it we will be unable to display your registration appointment information over the Web, and you will have to obtain your registration appointment information address in person. Skagit Valley College may require you to provide certain personal information in order to check requisites while using schedule planner. The information is required in order to access your academic and testing records. You may choose not to provide this information, but if you choose not to provide it we will be unable to verify your eligibility for enrollment into certain classes and you may be blocked from enrolling into those classes. Skagit Valley College may require you to provide certain personal information in order to change your address over the Web. The information is required in order to verify your identity. You may choose not to provide this information, but if you choose not to provide it we will be unable to change your address over the Web, and you will have to change your address in person or by mail. Skagit Valley College may require you to provide certain personal information in order to change your personal identification number over the Web. The information is required in order to verify your identity. You may choose not to provide this information, but if you choose not to provide it we will be unable to change your PIN over the Web, and you will have to change your PIN in person. Skagit Valley College may require you to provide certain personal information in order to view your quarterly schedule. The information is required in order to verify you identity. You may choose not to provide this information, but if you choose not to provide it we will be unable to display your quarterly schedule over the Web, and you will have to obtain a copy of your quarterly schedule in person. Skagit Valley College may require you to provide certain personal information in order to view your unofficial transcript over the Web. The information is required in order to verify your identity. You may choose not to provide this information, but if you choose not to provide it we will be unable to display your unofficial transcript over the Web, and you will have to view your unofficial transcript in person or by mail. To better serve our users, we are now using "cookies" to customize your browsing experience with the Skagit Valley College Web site. Cookies are simple text files stored on your computer by your Web browser. 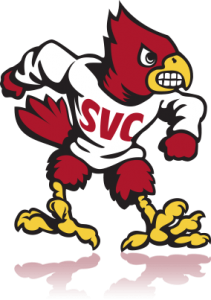 Skagit Valley College, as developer and manager of this web site, has taken several stepsto safeguard the integrity of its telecommunications and computing infrastructure, includingbut not limited to authentication, monitoring, auditing, and encryption. Security measureshave been integrated into the design, implementation and day-to-day practices of the entireSVC operating environment as part of its continuing commitment to risk management. This information should not be construed in any way as giving business, legal, or other advice,or warranting as fail proof, the security of information provided via SVC supported web sites.